The Centre welcome disabled visitors and offers disabled parking for blue badge holders near the main Reception entrance. There is a ramp from the car park to the main Reception area and both sports Hall, Bowls Hall and Squash courts have ground floor access. Access to the swimming pools is also available from the car park to the rear entrance. 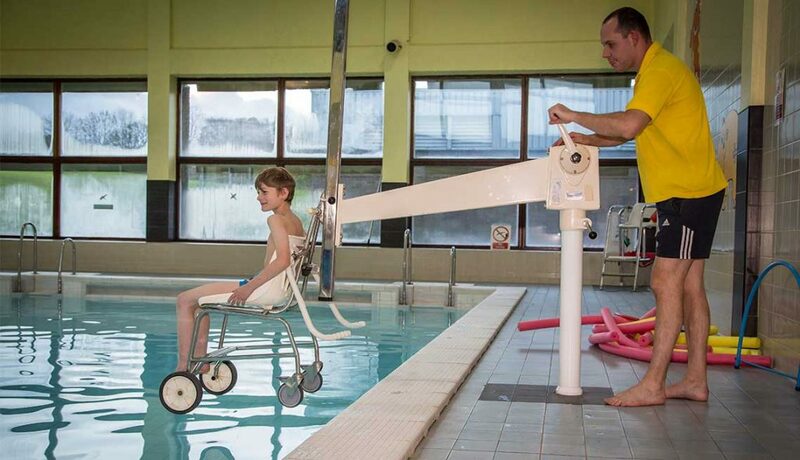 Both swimming pools have a disabled hoist that can be used for wheelchair users. If you would like to discuss your personal requirements please contact a member of our team on 0114 288 3792 who will be happy to help.